Off-page optimization, or off-page SEO, has become the dominant force in organic search engine optimization. That is, it’s proven that off-page contributors, such as backlinks and social signals, have more weight in determining keyword rankings than on-page factors. For this reason, off-page optimization is an integral aspect to the SEO process and attaining a top search engine placement. The primary practice behind off-page optimization is link building. This involves manually creating or earning backlinks that point to your optimized pages. This off-page credibility is what search engines look for while determining keyword rankings. Search engines have changed the ways in which they interpret backlinks and off-page citations. With new algorithm updates that target ‘over optimization’ it is more important than ever to build links carefully and strategically. 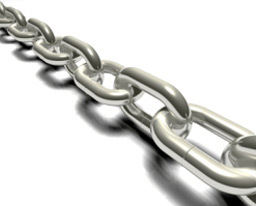 In essence, creating a very natural backlink portfolio is the primary focus of this practice. Having a natural link portfolio will maximize your site’s potential to rank in the search engines. This integral aspect of SEO and website optimization is the primary means of establishing off-page authority and credibility. In addition, off-page SEO is an ongoing process that follows the on-page optimization process. 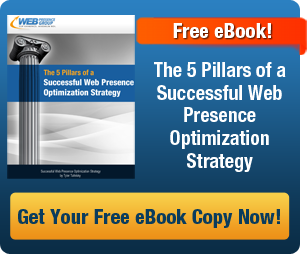 At the Web Presence Group, we believe off-page optimization should be a top priority for your company’s website optimization strategy. As an experienced website optimization company, we have the experience, knowledge, and link building resources to optimize your site’s search engine potential. We employ only the top professionals and use only the best practices of search engine optimization and off-page SEO.